A train has derailed near Watford Junction, operator London Midland has confirmed. No-one was injured when the 06:19 BST service from Milton Keynes to Euston left the track. The accident was caused by a reported landslide, believed to have happened after flooding in the area. A spokesman said London Midland and Virgin services would be 'severely disrupted' from the north-west of England, Scotland, and the Midlands. 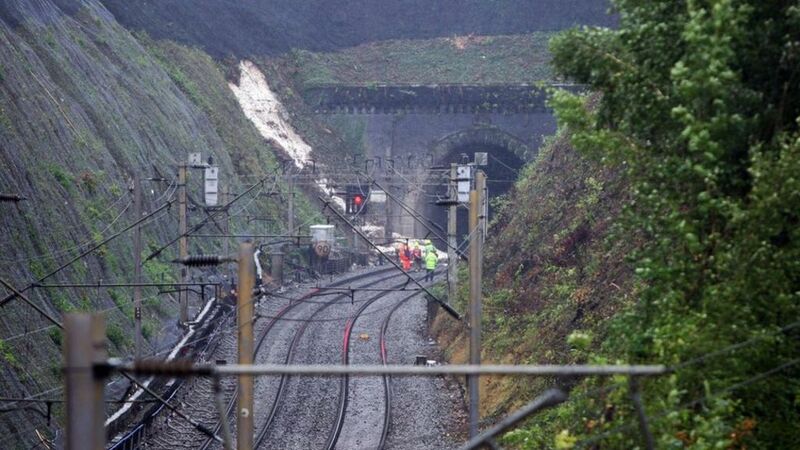 Two people are injured as a train derails near Watford Junction in a landslide caused by heavy rain.